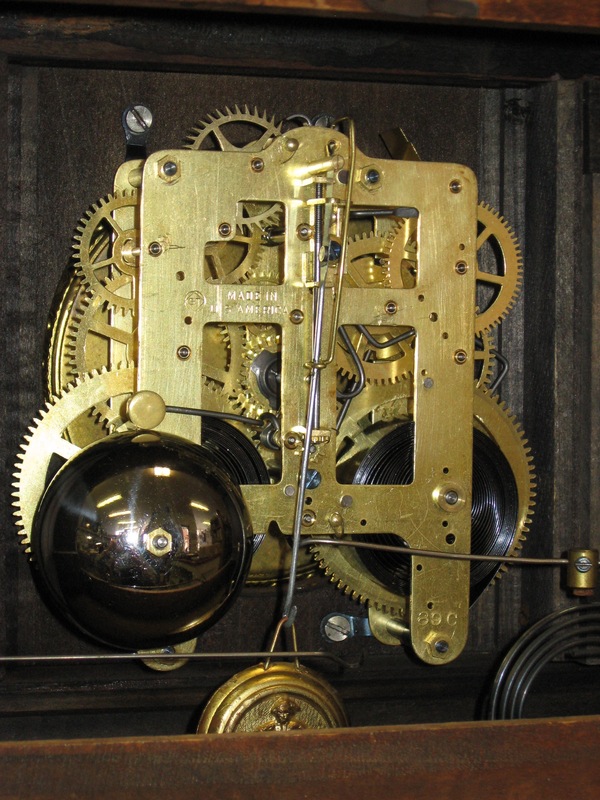 Here’s a beautiful Seth Thomas Adamantine mantel clock I repaired. The top and trim are orange and green flecked over black. 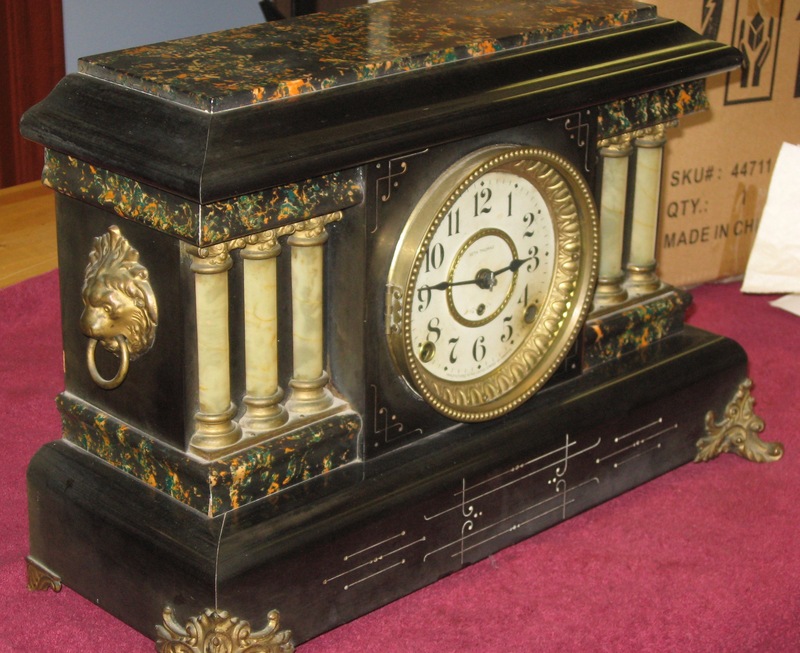 The clock is 18 inches wide, 11 1/4 inches tall, and the minute hand is 2 1/8 inches long. Repair job 6786. 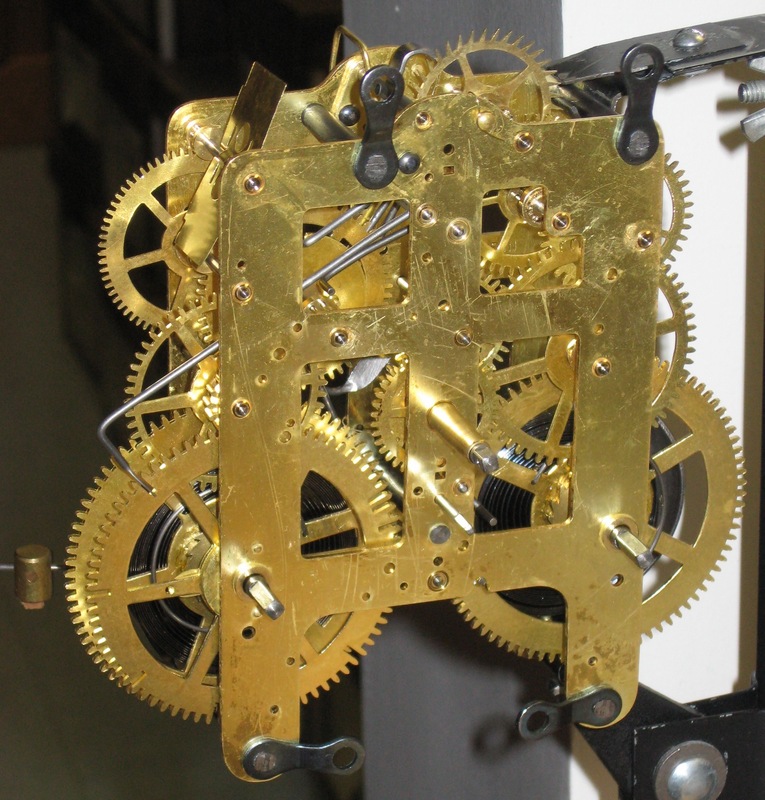 Movement 89 C. I polished the pivots, installed 3 bushings, broached out the previously installed bushings, and made new tension springs for the count lever and warning levers.